So you don’t end up damaging your hearing. 30 seconds in, Mary realised that listening to Slipknot's 'Before I Forget' at full volume wasn't exactly the best idea. ACCESS TO MUSIC has never been easier. We’re spoilt with an abundance of music streaming services, we have videos, TV shows and movies at the palm of our hands and gaming on the go is more accessible than ever. 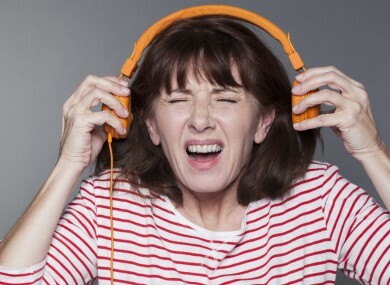 Yet when you’re trying to drown out the outside world, you don’t want to pump the volume too high as long-term exposure can end up damaging your hearing. Or you might have a child who will do the same without knowing the consequences. What you might not know is in the majority of cases, you can set a volume limit. You just have to know where to look. When you’re setting a limit, it’s better to take music that you would listen to and figure out the best level to mark it. Put on your headphones, start with a low volume and gradually increase it until you reach a volume that is both audible and comfortable. When you do that, you can start setting limits. This setting is built into iOS and is easy to find. Go into Settings > Music and you will see Volume Limit near the bottom. When you set it, you can protect it with your PIN code in case you have a child and they try to change it. On Mac, the closest thing you have to this is setting a default level for sound whenever you plug in your headphones. Go into System Preferences > Sound > Headphones and set a custom level. The settings for your headphones is different than the speakers so you can have the volume high with headphones but low when you switch to speakers. The joy of Android is the type of phone you own will determine whether such a feature is available in the first place. Some will have the option, others will warn you about increasing the volume too high when you’re doing it and some won’t have the option at all. If there is no way to limit volume, then you’ll need to download a separate app to do this. One good option is Volume Limit & Lock, a free app which can also lock the volume buttons on your phone so you don’t accidentally adjust it. Similar to Android, Windows (both desktop and mobile) does not have any controls beyond the standard volume screen. On mobile, the closest equivalent is to activate Kid Corner which allows a max volume of 15 instead of the standard 30. For your desktop, you can download a programme to carry out the same functionality. One example is Volume Limiter, which offers such functionality and can be locked with a password if you require it. It’s very basic but that probably all you need if you’re installing it. Email “This is how you can set a volume limit for your devices”. Feedback on “This is how you can set a volume limit for your devices”.